The autumn quest of finding quality pizza is wrapping up. 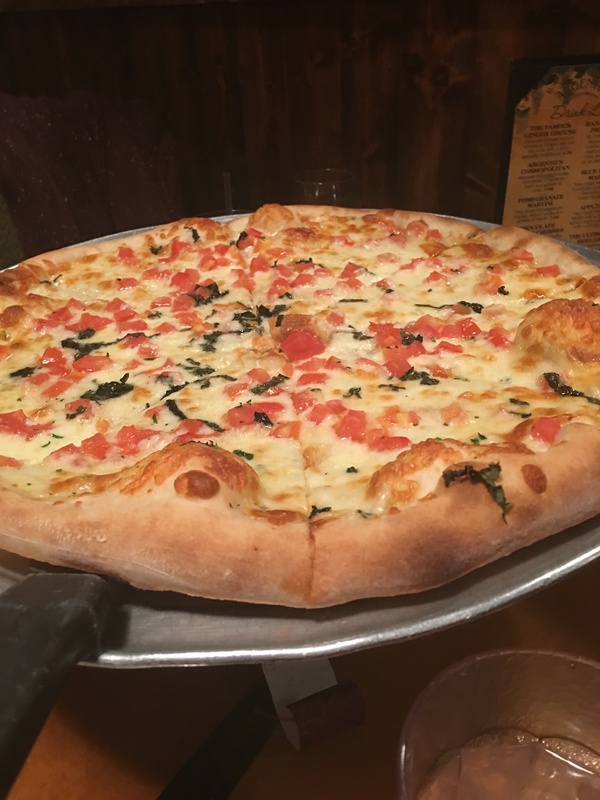 This time, the pizza compass points to Argento’s Italian Bistro in Port Richey Florida. I have been to this restaurant plenty of times for family dinners. This was the first time I had gone there for pizza though. The Argento family from Bay Ridge Brooklyn serve up great food, so it should come to no surprise that their pizza would be top notch as well. The pizza did not disappoint. We ordered the Pizza Capri, just to change it up from the standard pie. It came with fresh tomatoes cut into prefect sized chunks, basil and mozzarella. The garlic could be tasted and smelled from across the room. It was amazing. A family that sat down while we were eating asked us what we were having. They went ahead and ordered the same, just from how our pizza was presented. It is that damn good. We also ordered fresh mozzarella sticks and sangria. The sangria was refreshing on this humid night. The weather was about to break with some rain hitting our area, so the swampy air did not make for a lovely evening. The pizza tasted even better eaten the next day. The leftovers created a delicious aroma once heated in the oven for a few minutes. I highly recommend their pizza. Pick up a lobster tail for dessert on the way out. Their bakery counter is always full of great items.